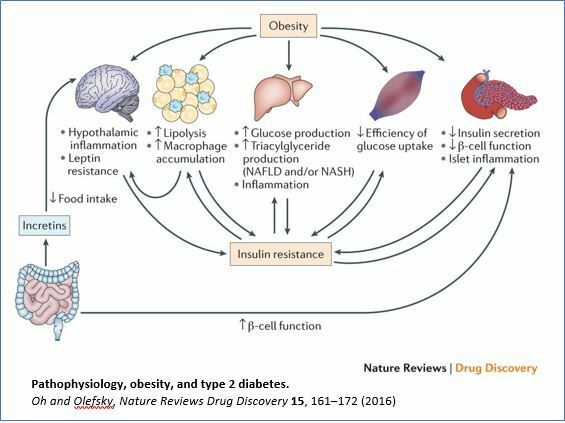 The prevalence of obesity and type 2 diabetes (T2D) is increasing worldwide, and these two metabolic disorders are closely linked. Lifestyle modification, including weight loss and exercise, are effective treatments for T2D, but, unfortunately, most patients are unsuccessful at maintaining durable weight reduction and recidivism is all too common. Therefore, safe and efficacious drugs are required for successful treatment of T2D in a large proportion of subjects. Seven transmembrane receptors (7TMRs), often termed G protein-coupled receptors (GPCRs), are the most common target of therapeutic drugs today. Targeting G protein-coupled receptors (GPCRs) in metabolic tissues — such as adipose tissue, liver, muscle, pancreatic islets, immune cells and the central nervous system — have emerged as key targets for current and future anti-diabetic compounds. In Oh lab, we are interested to study the role of GPCRs in obesity, inflammation and type 2 diabetes.